So you remember last month when Burberry was using all Apple iPhone 5s machines to capture their spring summer 2014 collection? It was big news, huge news in fact. However, what we never saw coming was the breaking news that we have for you today. WWD have just announced that Burberry CEO Angela Ahrendts is actually leaving the company to go and work for the technology behemoth. Yes, the woman who has helped in transforming Burberry from a simple plaid and trench outfit is leaving to assist Apple. The mind is running overtime on what she'll be doing there and the changes we'll see at Apple as a result. However, let's turn our attention back to Burberry for a moment. Who's replacing Angela Ahrendts? Well, it's Christopher Bailey naturally. He is, after all, the man who put Burberry back on fashion's radar as a serious player in the industry. So that's the news for now. We're sure they'll be more to come on this topic later. 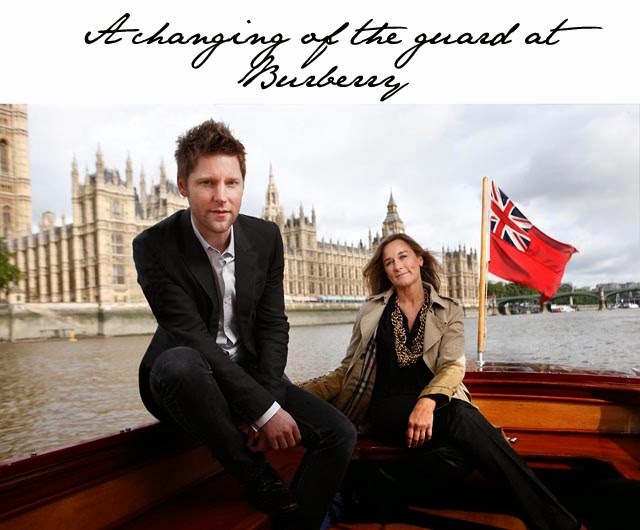 In the meantime, we wish both Angela Ahrendts and Christopher Bailey the best of luck in their new roles.